Penned by A. Das Gupta, this Problems Plus in IIT Mathematics textbook will be of immense help for any engineering aspirant. Published by Bharati Bhawan Publishers & Distributors, this 5th edition contains enriched content of the basic elementary ideas that will help the students to crack any entrance examination. Starting from Calculus to algebra following geometry, every topic has been well covered so that students are able to recap what they have learned in their schools. A. Das Gupta is a notable writer, who has co-authored many other books. One of which includes Principles Of Physical Geography. • Idea for the preparation of IIT-JEE entrance examination. 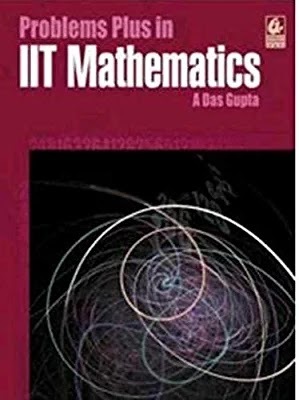 • Each chapter comes with a summary of facts, formulae and working techniques. • It boasts a large number of solved problems. • Graded exercises and time-bound test papers help the students to evaluate their knowledge base. • Each topic has been categorised under various sections to give the students a better understanding of the concepts.